#BandCHomeGoods I love being organized, even though I'm not the best at it, it just seems to make life a little easier. I hate clutter, it makes me feel claustrophobic lol. So I'm a big fan of storage containers and new ways to feel more organized. With spring right around the corner, there's no better time to do a little spring cleaning and make home feel and look nicer. I have been trying to eat healthier too, I'm not getting any younger. Even though I'm in pretty good health, I know I can do things to feel better and keep the good health I was blessed with. 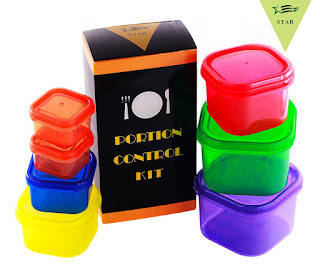 Star Portion Control Kit is a good step in doing so. Whether you're trying to lose weight or just eat healthier, this is a good system to use. The containers are different bright colors to let you know what should be put in each one. No more weighing food, making life a little more simple and convenient. These containers are dishwasher, microwave and freezer safe. BPA free and leak proof. You can make things ahead and freeze them and take them anytime for lunch or any other meal. I think they're a good idea and a big step to better health. 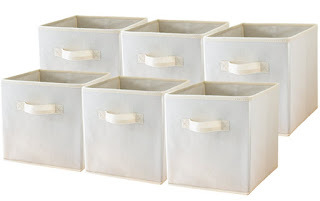 Speaking of storage, I love containers that keep clutter and stuff out of view, so when I was given the opportunity to try out these Foldable Storage Cube Baskets I jumped at the chance. Very neutral, they look nice anywhere and I love that the material is unwoven so you can just wipe them with a damp cloth should life and the baskets get a little messy. They fit into just about any storage cube unit. Now you can organize anything from art supplies to kitchen gadgets, and just about anything in between. There are handles on both side to make moving them around easy, and the handles are reinforced to make sure they are durable and can handle a heavy load. 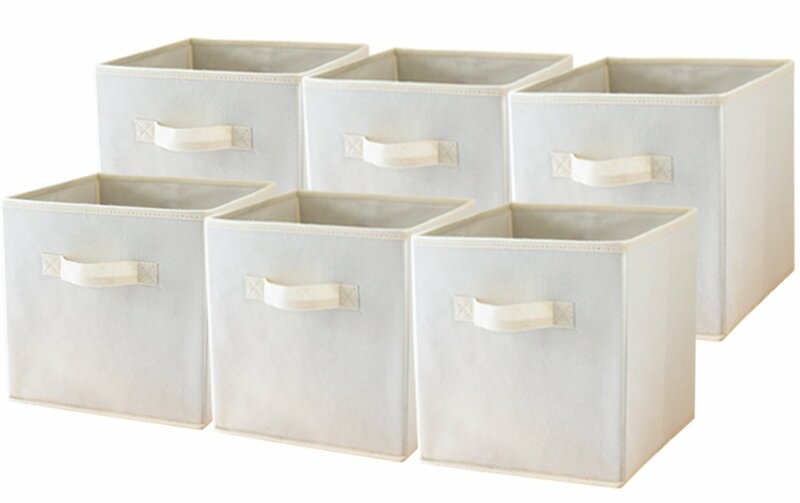 They are a great solution for storage and clearing up clutter.